Saturday is New Kit Day!! If you ordered kit before the last close off you can grab it from the DOME after the Saturday ride this week or next (21/10 & 28/10). The boxes will be there between about 9:00am. and 10:15am. Timely for those riding the Tour of Margaret River…it’s almost like I planned it that way!! If you received an email this week letting you know that you still have kit from previous orders that needs collecting, then this is an opportunity for you to grab it too! 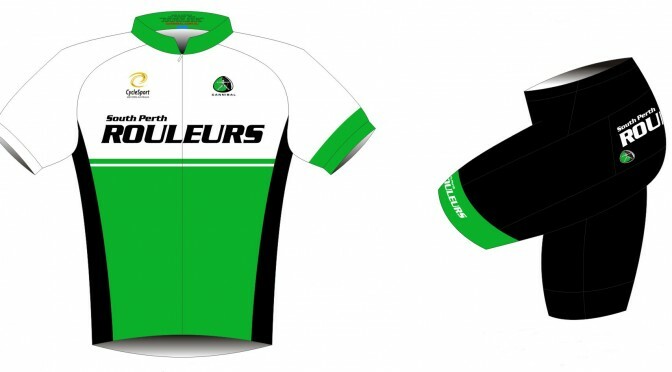 If you want to make other arrangements for collection you can find some options on the club kit page here, or email me via kit@southperthrouleurs.com.au.